Lethbridge Regional Police are investigating a shooting that occurred during the early morning hours Sunday August 31 at a west side strip mall. On August 31, 2014 at approximately 2:30 a.m. police responded to a shooting in the West Village strip mall located at 100 Columbia Boulevard after an altercation occurred between two groups of individuals in the parking lot. A male victim was taken to hospital where he was treated for non-life threatening injuries. Cash and property totaling nearly than $100,000 were seized from an alleged Lethbridge drug dealer by the Alberta Law Enforcement Response Team (ALERT). On August 27, ALERT Lethbridge and members of the Lethbridge Regional Police Service, concluded an investigation into a 25-year-old Lethbridge man accused of drug trafficking. Search warrants were executed at a Lethbridge business and apartment suite where drugs and proceeds of crime were seized. Cocaine, marihuana, and psilocybin, worth an estimated $24,000, were seized as the result of the search warrants. $65,000 in cash was also seized in addition to a Ford Escape and Dodge Truck. Proceeds of crime seizures typically get forfeited to the Alberta Government’s victim restitution and civil forfeiture office and help support victims of crime and crime prevention programs. Last year ALERT teams across Alberta seized nearly $5 million worth of proceeds of crime. Patrick Rodney was charged with possession for the purpose of trafficking (x 5), possession of proceeds of crime, and breach of recognizance. Rachel Thompson, 19, was charged with two drug-related offenses. 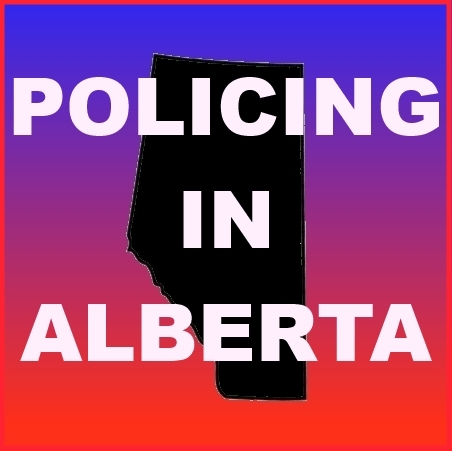 ALERT was established and is funded by the Alberta Government and is a compilation of the province’s most sophisticated law enforcement resources committed to tackling serious and organized crime. Nearly 400 municipal police, RCMP, and sheriffs work in ALERT. A single motor vehicle collision earlier this morning near Goodfare has resulted in the death of the male passenger and the female driver being transported to hospital. This morning at approximately 9:15 a.m. Beaverlodge RCMP along with other emergency responders were called to a single vehicle collision on Township Road 671, between Range Road 115 and Range Road 120, near Goodfare. Emergency responders pronounced the male passenger deceased at the scene. The female driver was able to free herself from the wreckage but was taken to Beaverlodge Hospital with undetermined injuries. As a result of the vehicle colliding with a power pole there is a disruption to electricity service in the area. The cause of the collision is still under investigation. No further details are being released at this time to allow police to complete next of kin notifications. 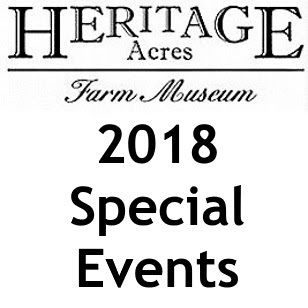 On Saturday, August 30th at 6:07 a.m., Sylvan Lake RCMP responded to the scene of a serious motor vehicle collision which was reported to have occurred in a back lane way (gravel) behind Lodge Place in town. Along with police, Sylvan Fire and Associated EMS also attended. Upon arrival, members located 2 heavily damaged dirt bikes along with 2 seriously injured males. EMS treated both males at scene and STARS Air Ambulance was also dispatched to the scene. STARS landed 2 helicopters near the collision scene in the football field behind the Fox Run School. One patient was transported via STARS to the U of A Hospital in Edmonton with critical injuries. The 2nd male was pronounced deceased on scene. Police suspect alcohol and drugs played a factor and the investigation is on going. Neither man was wearing any type of protective gear (helmets gloves, etc). Neither bike was registered and neither was street legal. The Collision re-constructionist from Red Deer attended the scene to assist with the investigation. This investigation is being investigated as an Impaired Driving causing Death file. Criminal charges are pending at this time. The deceased male is a 26 year old male from Sylvan Lake, Alberta. The injured male is a 27 year old male from Sylvan Lake. Both males are known to each other. Names are not being released at this time. Police would like to take this opportunity to again remind the public that alcohol and drugs do not mix with motor vehicles of any kind. This was a horrible way to start the last long weekend of the summer. On August 29, 2014 at approximately 8:15 p.m. Innisfail Integrated Traffic Unit, Fire / Rescue and EMS were dispatched to a multi-vehicle injury collision on the QEII Hwy between Olds and Didsbury. Preliminary investigation has determined that two SUVs had stopped on the shoulder of the north bound left lane, possibly due a mechanical failure of one. A north bound minivan clipped the rear SUV before colliding with the second stationary SUV at highway speed, pushing this SUV down into the median. The minivan deflected to the right and struck an enclosed utility trailer being pulled by a pickup in the right lane. The minivan came to rest blocking the left lane. As additional Emergency Responders arrived, the north bound traffic on the QEII Hwy was diverted onto an adjacent gravel side road for safety. This diversion lasted just under 2 hours. The female passenger of the SUV had to be extricated from the vehicle by Fire / Rescue. She and the female driver were transported to the Foothills Hospital in Calgary by EMS. Both have since been treated and released. The occupants of the minivan, an adult male, adult female and 4 male youths between 4 and 9 years of age were transported by EMS to Olds Hospital. All were treated and released. The two males in the SUV initially clipped + the male driving the pickup pulling the trailer were uninjured. Speed, alcohol and road conditions do not appear to factors in the collision. All occupants appear to have been wearing seatbelts, or to be riding in the proper child seats. Air bags also deployed as designed. Attending members would like to especially thank those that stopped at the collision scene to assist the injured prior to the arrival of Emergency responders. Also they stuck around and provided contact information for statements after the soaking rainstorm hit. On August 29, 2014 at approximately 7:00pm, members of the Redcliff RCMP detachment were conducting traffic safety enforcement on highway 1 near Suffield, Alberta. A minivan was stopped after it was recorded traveling 149 kilometres per hour east bound on highway 1. During the investigation the member determined the driver was impaired by alcohol and he was arrested for impaired driving. 6 children between the ages of 8 months and 9 years were also in the vehicle, including one unrestrained in the rear of the van. Charges of impaired driving, driving with a blood alcohol concentration over .08, and criminal negligence are pending against the 21 year old driver from Saskatchewan. The RCMP and Child and Family Services continue to investigate. On August 30, 2014 a black bear was spotted walking down a rural driveway in the area of 530 Ave and 53 St E in High River, AB. The bear did not exhibit any aggressive behaviour and is thought to have been availing itself of honey from a honey farm in the area. The RCMP is encouraging the public to use caution if using this area. Any sightings can be reported to the High River RCMP at 403-652-2356 or Alberta Fish and Wildlife at 403-652-8330. During the late hours of August 29, 2014 Peace Regional RCMP & High Prairie Police Dog Service arrested Keith Roland Carifelle, 27 years old of Cadotte Lake, AB on outstanding warrants. Carifelle was wanted on Canada wide warrants for being unlawfully at large after failing to report back to his halfway house in Edmonton, AB on August 11. Carifelle is serving a five year sentence for aggravated assault and assault causing bodily harm from an incident in 2010 where he grievously injured two RCMP officers. Carifelle had been on statutory release and now remains in custody. Peace Regional RCMP would like to remind the public that any information regarding any suspicious activities should be reported to the Detachment at (780) 624-6677. Information may also be provided anonymously through Crime Stoppers at 1-800-222-TIPS. You do not have to reveal your identity to Crime Stoppers. If your information leads to an arrest or the recovery of stolen property, you could be eligible for a cash reward. While Cst. 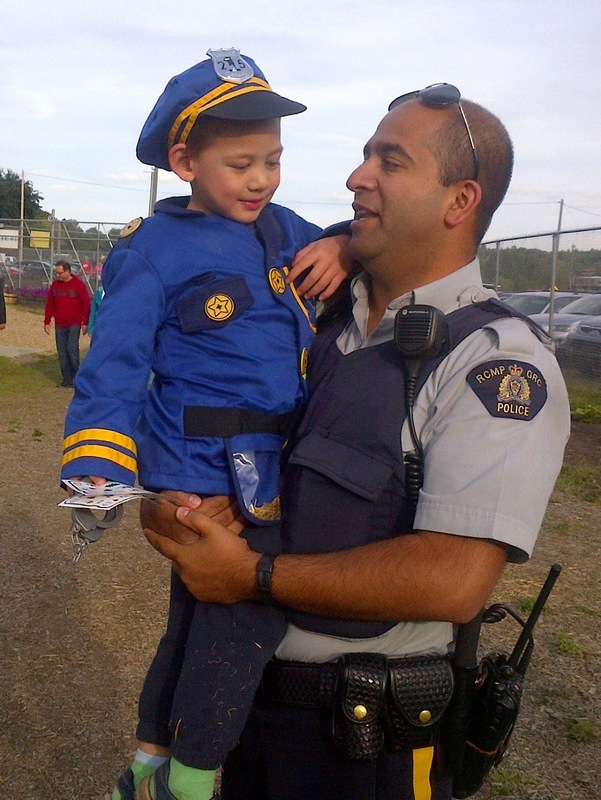 Omid Nezami of the St. Albert RCMP was walking through the St. Albert Arts and Heritage Society Food Truck Event at the Grain Elevator Park on Friday, August 29, 2014, he met an aspiring young police officer. Emerson Torney, age 3 of Wainwright, Alberta, wore his police uniform to the Food Truck event and was thrilled to meet a real police officer there. Cst. Nezami was handing out stickers to young event attendees and posed for a picture with the Next Generation "Constable Torney". In the early morning hours of August 29th, 2014, the Peace Regional RCMP located and arrested 21 year old Dakota Keewatin on multiple outstanding warrants. At the time of the arrest, Keewatin was found in possession of 55 grams of uncut cocaine hidden on his person. Keewatin is charged with possession of a controlled substance for the purpose of trafficking. Keewatin is a member of the aboriginal street gang known as "Family First" which is prolific in the Province of Alberta for drug trafficking and violence related offenses. The Cocaine seized from Keewatin can be worth upwards of $10,000 in street value. Keewatin is scheduled to appear in court on Monday September 8, 2014, in Peace River. On AUgust 29, 2014 Highway 1 was closed in both directions approximately 7 KM East of Strathmore due to a single vehicle collision which ruptured the main gas line the runs alongside the highway. Emergency crews and Atco Gas responded. Eastbound lanes were reopened approximately 45 minutes later. Westbound lanes were closed for several hours, disrupting holiday weekend travel on Highway 1. 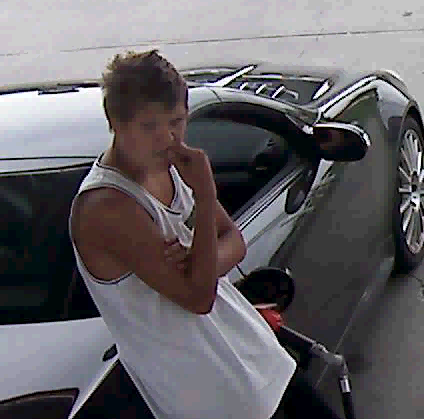 At approximately 3:15 pm, on August 19th, two males pulled up to a fuel pump at the Shell station on 2nd Avenue in Airdrie in a black Mercedes two seat coupe. 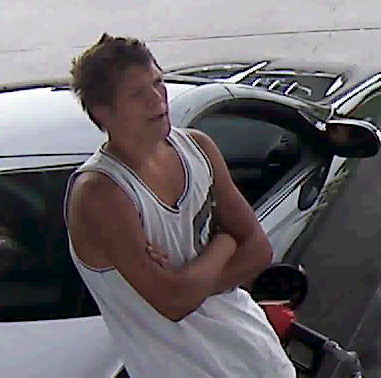 One male exited the vehicle and began fuelling the vehicle. A store clerk approached the male, who then entered the vehicle and quickly departed without paying for an undisclosed amount of gas. The clerk contacted RCMP, providing the vehicle plate number. RCMP members investigated and found the vehicle to be reported stolen out of Red Deer, Alberta. A Be on the Lookout notice was sent to surrounding areas, and the vehicle was located a short time later in Innisfail. The suspects were not located. Only one male is visible on the Shell station video surveillance. RCMP Forensic Identification Services, Red Deer City RCMP and Innisfail RCMP have been assisting with the investigation. If you have information, please call the Airdrie RCMP at 403-945-7267. If you want to remain anonymous, you can contact Crime Stoppers by phone at 1-800-222-8477 (TIPS), or by internet at www.tipsubmit.com. You do not have to reveal your identity to Crime Stoppers, and if you provide information to Crime Stoppers that leads to an arrest(s), you may be eligible for a cash reward. A 34 year old male resident of Grande Prairie was arrested early Sunday morning August 28 after he failed to stop his vehicle for an RCMP member of Grande Prairie's Integrated Traffic Unit. The officer just happened to be stopped at the exact moment when the male driver blew through the red light at an dangerously high rate of speed. About 12:00 am on August 24, 2014, an RCMP member of Grande Prairie's Integrated Traffic Unit was stopped at a red light on 102 street and 99 avenue. While waiting for the light to change, a vehicle flew by the officer eastbound at approximately 140kms/hr. The officer immediately activated his emergency lights and sirens and followed the driver into the parking lot of the Crystal Centre where he momentarily stopped but then sped off again. The driver hit a fence and then a building causing the front tire of the vehicle to fall off. The driver continued on until he hit a meridian, then got out of the vehicle and attempted to flee. The officer pursued on foot, caught up to the male driver, arrested him and took him into custody. 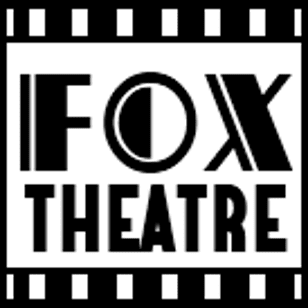 Following the investigation, the male was released on documents ordering him to appear in court on September 17, 2014 and is facing charges of dangerous operation of a motor vehicle, impaired operation of a motor vehicle, operating a motor vehicle with a blood alcohol concentration of over 80 milligrams percent, flight from a police officer and failure to stop at the scene of an accident. Edmonton Police Service Homicide Section detectives have charged a man in connection with the death of a woman who was discovered deceased in a southeast Edmonton residence yesterday. At approximately 8:26 a.m. on Friday, Aug. 29, 2014, EPS Southeast Division Patrol officers responded to a call to check on the welfare of a resident at a house in the area of 37 Avenue and 13 Street. A 61-year-old woman was discovered deceased inside the residence. After speaking to witnesses, police took into custody a 63-year-old male resident of the home at approximately 1:36 p.m. in the area of 33 Avenue and 34 Street. Police have identified the woman as Baldish Kang, 61. The Medical Examiner is expected to conduct the autopsy early next week, however, the death is considered a homicide. Piara Kang, 63, has been charged with second degree murder and possession of an offensive weapon. The accused has been remanded and is expected to appear in court on Tuesday, Sept. 2, 2014. The Edmonton Police Service is investigating a hit and run collision between a car and a cyclist that took place August 29 in west Edmonton. At approximately 6:10 am on Friday, Aug. 29, 2014, a 54-year-old male was riding his electric bicycle on a sidewalk westbound on the north side of 132 Avenue just before 127 Street. An unknown car traveling eastbound on 132 Avenue made a left-hand turn into the entrance way of a gas station parking lot and struck the cyclist on the sidewalk before driving off. The cyclist suffered unknown injuries and was able to return home to have a friend take him to hospital. The 54-year-old man was found to have serious but non-life-threatening injuries, and currently remains in hospital. The man was not wearing a helmet at the time. EPS West Division officers continue to investigate the collision and are looking for witnesses. It is believed that a passerby stopped briefly to check on the man's condition. Police would also like to speak to the driver of the car to determine what happened. 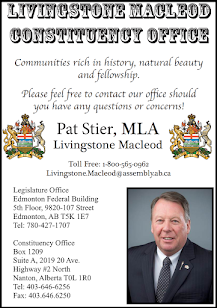 The Strathearn Pub’s business licence has been revoked, following a report submitted by Edmonton’s Public Safety Compliance Team that details ongoing noise, weapons and violence complaints, including an undercover drug operation by the Edmonton Police Service. Strathearn Pub’s licence was revoked by the City’s Chief Licensing Officer on Aug. 24, 2014, following a detailed report submitted by the Public Safety Compliance Team. The proprietor of the Strathearn Pub has appealed the decision and as such, the establishment can remain open until a decision is rendered by the Community Standards and Licence Appeal Committee. A three-month EPS investigation into alleged drug trafficking at the south-side neighbourhood pub culminated in the arrest of its owner and a staff member last March. The Public Safety Compliance Team subsequently conducted follow-up investigations surrounding those arrests. The PSCT is comprised of EPS members and partners from the Alberta Gaming and Liquor Commission, Edmonton Fire Rescue Services and the City of Edmonton Bylaws and Licences.